This is shameless book promotion. I don't care. As I explained in my last post: they are worth it. Richard Bauckham writes: 'Here at last is an OT theology that follows the whole of the biblical narrative and treats it all with theological seriousness. Goldingay conveys his prolific insights so readably that this will be a rich resource for all serious readers of Scripture'. Walter Brueggemann writes: 'In this volume, John Goldingay, as usual, presents himself as a knowledgeable, sensitive interpreter who pays close attention to the text and to the faith given through the text. The focus on narrative indicates the peculiar way in which biblical faith is mediated that is not excessively tamed by the usual categories of doctrine, piety or morality. 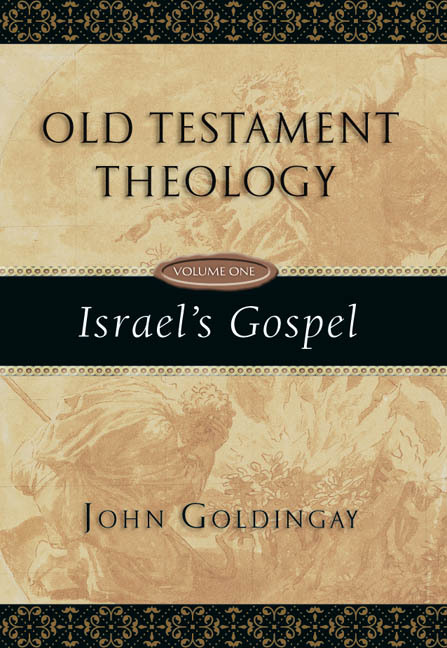 The title of volume one, Israel's Gospel, exhibits Goldingay's acute theological passion, one that warrants close, sustained attention'. Tremper Longman III writes: 'This book is immensely valuable. Reading it is like sitting at the feet of a mature, experienced and wise Old Testament scholar and getting a personal tour of the theological significance of the entire narrative of the Old Testament. It is written in a way that is accessible to students wanting an introduction, but there is plenty here for the further education of even senior Old Testament theologians'. 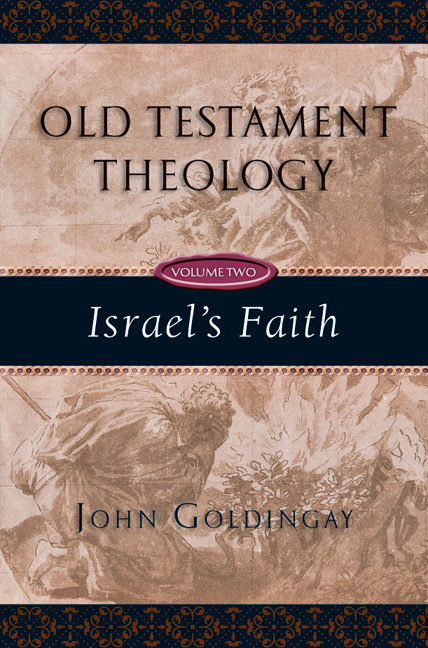 Terence E. Fretheim writes: 'Grounded solidly in the study of specific texts, John Goldingay demonstrates that the Old Testament is no second-class citizen in the biblical theological conversation ... A special dimension of the book is a deft and straightforward analysis combined with a refreshing personal touch in working with theological issues ... This second volume of Goldingay's immense theological project will open up and enhance many fruitful theological conversations in the years to come'. Christopher Seitz: 'The fruit of a lifetime of teaching and reflection, exhaustive in scope and mature in articulation, John Goldingay has assembled a vast reflective account of what the Old Testament says about God, Israel, humanity and creaturely existence. 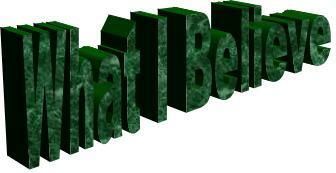 Goldingay especially enjoys the challenges of the Old Testament for present faith and life, and he rises to them. Comprehensive and engaging'. Mary J. Evans writes that the books are 'emerging as a hugely significant contribution to contemporary Old Testament scholarship, which will be a great help to theological teachers at both undergraduate and postgraduate levels. This volume, in structure as well as content, not only maps out for us the faith of the First Testament with great clarity and in a lively readable style, but also introduces the reader to a vast range of secondary literature. Difficult questions are embraced rather than avoided, but at the same time Goldingay manages to convey a love for the text and for the God revealed in the text--something not always achieved by biblical scholars'. YES and Amen to that. Robert L. Hubbard Jr. writes: 'Its intellectual rigor offers grist for the academic mill, its theological depth rich food for the weekly pulpit'. how could I get a review copy? I have tried asking around but not getting anywhere. You want a review copy of the OT books? You could try looking on the IVP webpage for a contact e-mail, and simply ask - offer something concrete, and tell them about the popularity of your blog etc. It needs to work for them. Good luck!